Aurangzeb celebrated the conquest of the Qutb Shahi kingdom of Golconda on a plain of Hyderabad city, which then became known as Fateh Maidan. 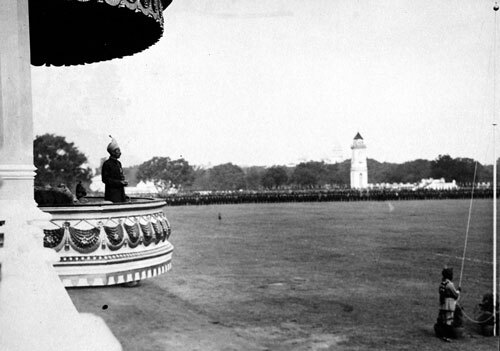 Pictured above is the last Nizam of Hyderabad Osman Ali Khan parading his troops at the every same Fateh Maidan. After 1948, it became the location of Lal Bahadur Shastri Stadium. © Arvind Acharya.